If your house had ten feet of water rip through it, or if your living room is full of mud, or sand, or locusts, that's no reason for missing work. 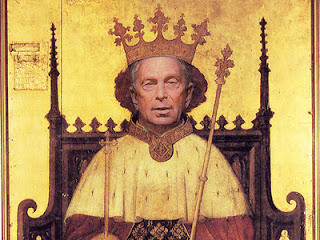 Michael Bloomberg is the mayor of New York, he has billions of dollars, and if he says so it must be true. After all, his brownstone is still there, and it was not damaged. Why the hell was your residence damaged? If you had half a brain, you would've bought an east side brownstone rather than a ranch house in a flood area. Then you would've been able to go to work while the storm raged. So what if you were taken up by the wind, and flew around with Dorothy and Toto and a cow? Judy Garland wasn't even five foot tall and she did it. So what's your excuse, pal? And please, don't give me that line about helping your grandfather dig out of his ruined home. Have you seen Bloomberg helping anyone clean up, or bringing food to people without power? Have you seen him donating food to shelters? Of course not. In fact, he banned donations to food shelters, because who knows whether or not the evil donors will give soft drinks that are too large? After all, who wants those careless refugees drinking too much Pepsi Cola? Now of course Mayor Bloomberg has made allowances in case the building in which you work happened to have been closed. Were that the case, you simply had to have taken a photograph of yourself in front of the closed building on the day in question. What could be simpler? And just to make things perfectly clear, Mayor Bloomberg made that ruling a week after the fact. So all you need do is travel back through time, take the photo, perhaps with that day's newspaper, and provide absolute proof you didn't do so after the fact. A cinch. Mayor Bloomberg is not restricted by nature. When we were hit with a crippling snowstorm last year, he just got in his private jet and headed to Bermuda. If you'd had the foresight to do that, you wouldn't have been here bellyaching about how to get your car out of the driveway. And please don't go on about convention and laws. When Mayor Bloomberg saw term limits, twice affirmed by voters, he simply got his pals to pass a new law, spent a hundred million bucks, and bought himself Gracie Mansion, fair and square, for the third time. So please, New York, enough with the complaints. Man up, and face the situation. Just do what Mayor Bloomberg would do.